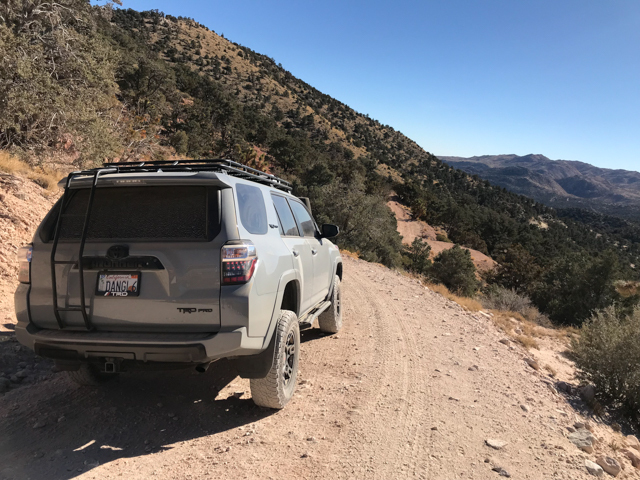 Recapping a one-day off-road trail from Big Bear to Pioneertown through the Burns Canyon Trail. 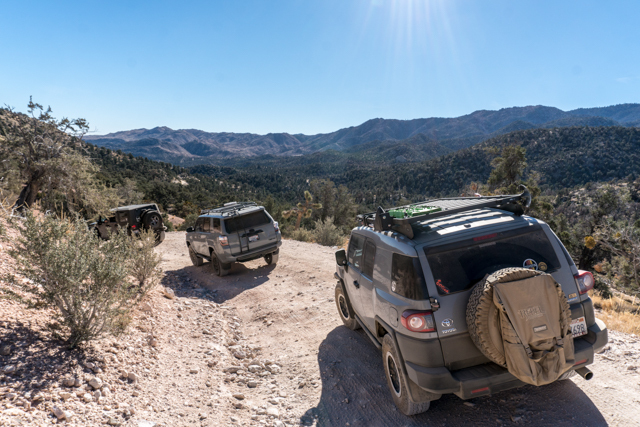 A moderate off-road trail for beginners with stunning views of Yucca Valley and the San Bernardino National Forest. 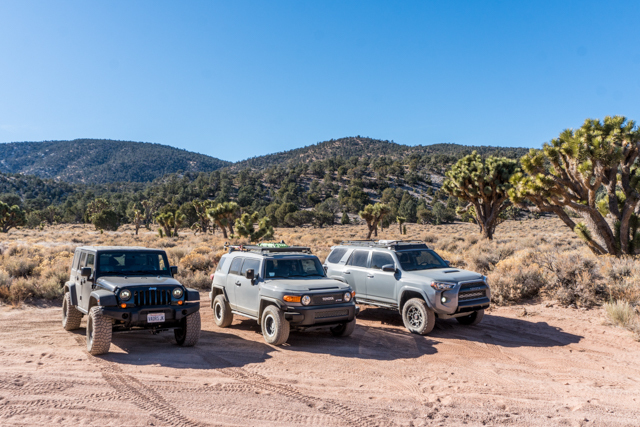 A great off-road one-day trip in Southern California, this 20-mile trail connects Yucca Valley to Big Bear. 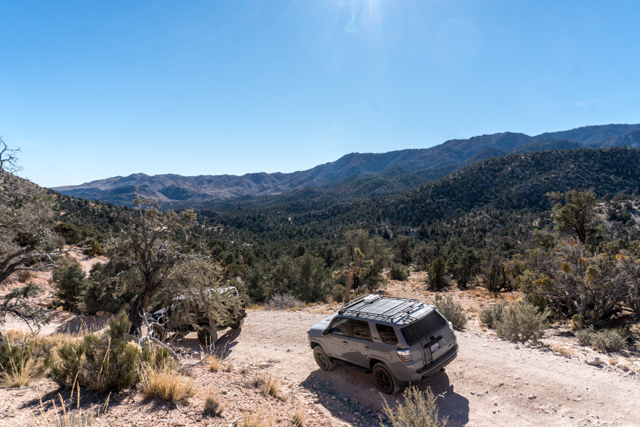 This off-road trail provides stunning views of the San Bernardino Mountains as you descend into the high desert of the Yucca Valley. It makes for a great off-road trail for beginners to get comfortable with their vehicles, or for a fun group day trip with fellow overlanders. The trail can be driven in either direction. Although it’s a narrow road, there are areas wide enough for vehicles to pass. There are some blind turns so drive with caution. Only some areas may require 4×4, with some ruts and small holes. Moderate vehicle clearance is recommended. 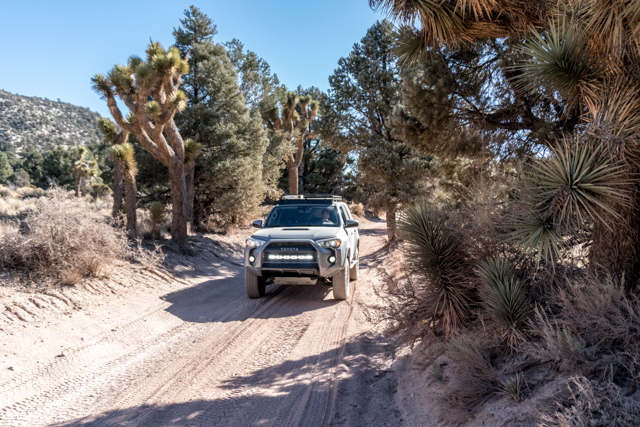 When my off-road buddy, Frank, asked me if I wanted to go on an off-roading trip and said that we’d end up getting to Pioneertown through Big Bear, I was certainly intrigued about the route we’d be taking. 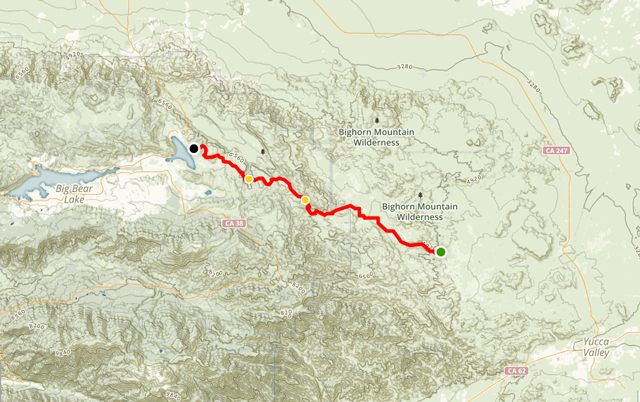 I knew the main route between the two cities was rather indirect, so the idea of exploring the remote area between the two diverse areas sounded exciting. This would be my first real off-roading trip, so I wasn’t sure what to expect. The night before, I fueled up my Toyota 4Runner and made sure I had my limited off-roading supplies ready. Mainly my Trasharoo, water, and snacks. It was safe to say I was going to need to rely on some equipment help as well as guidance on the trail. Luckily, the people I was going with were kind enough to help me out with the things I didn’t have – like a GMRS Radio, E-Z Deflator, and an Air Compressor. In the morning, I made the 2-hour drive to Big Bear City from Orange County, where we’d meet with our trail guide, Chris. 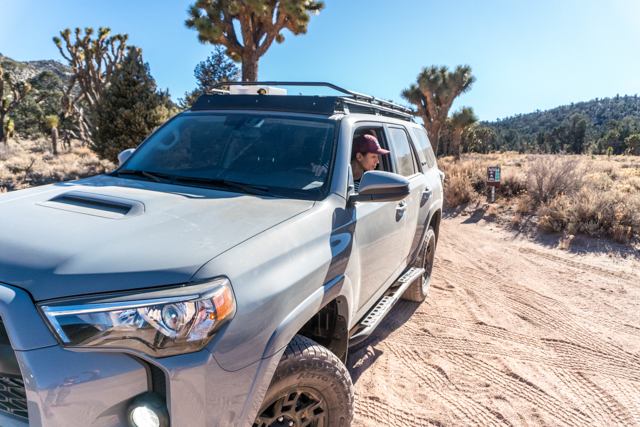 Chris is an experienced overlander who explained that the trail we’d be going on was the way that Big Bear locals used to cut across to Yucca Valley – Joshua Tree and Palm Springs. He described it as a moderate-level trail that would provide us with some great views of the uninhabited area known as the Bighorn Mountain Wilderness. We made the drive through Big Bear City to the trailhead, where Chris and Frank taught me how to air down my tires for the first time. 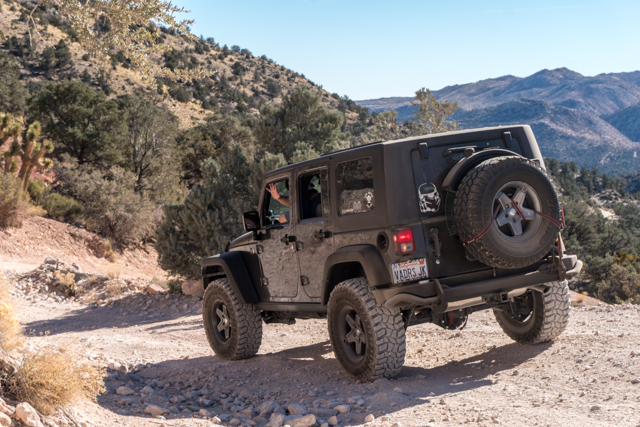 When driving on an off-road trail, it is recommended to reduce tire pressure to allow your tires to grip the terrain better. It also takes some of the stress off of your suspension and makes the ride less rigid for the driver and passengers. For this trail, I dropped my PSI down to 19, a 50% decrease from my normal tire pressure. Your ideal trail PSI will depend on your tire size and the terrain, so this was a trial and error effort. We lucked out though, It seemed to be just right for the conditions that day. Frank used a tool like the ARB ARB505 E-Z Deflator, while Chris had deflator valves – like the Boulder Tools Rapid Deflator Kit – that were preprogrammed to his specific PSI for his Jeep’s larger tires. After we aired down we were good to start the trail. Chris led the way while Frank brought up the rear. 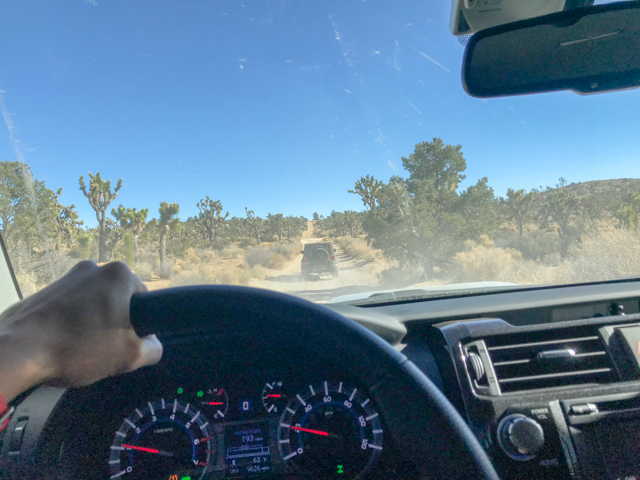 I was equipped with my borrowed-GMRS radio and they provided tips and guidance as we started the 20 mile off-road trip to Pioneertown. Although there were few times I actually had to use my 4×4, I will admit there were some moments at the start of the trail that I was timid and nervous. There were sections of the road, especially on the mountain ridge, that were rocky and had some small holes and ruts. After my first small “climb”, I slowly started to gain confidence and realized the off-road capabilities of my vehicle. For the most part, the trail was well-worn and smooth once we made our way out of the mountains. 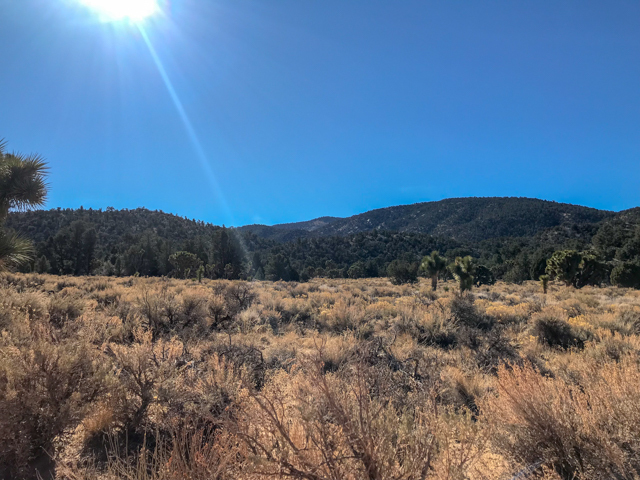 As our caravan descended over 3,500 feet from Big Bear City we were surrounded by amazing changes of scenery from the Pine Trees of the San Bernardino National Forest to the desert floor of Yucca Valley. Of course, we had to stop a few times to take photos along the way. There were some old miles along the trailside that made for a cool place to stop and check out. The weather was perfect for a December day, with clear skies and temperatures in the 70s. As we continued our descent and edged closer to Pioneertown, I started to notice the beautiful Joshua Trees and Yuccas, along with the red Mojave dirt. The descent into the high desert was breathtaking, there were some of the biggest Joshua Trees I think I’d ever seen, they had to have been hundreds of years old. Before I knew it, 2.5 hours flew by and we arrived in Pioneertown. We made the slow cruise through the town to the famous Pappy and Harriets Palace where we enjoyed lunch. We aired back up in the parking lot, where Chris and Frank showed me how to use Portable Compressors, like the Viair 450P Portable Compressor. After that, I thanked Chris and Frank for their help and made the 2-hour drive back home, this time on the highway and wearing my dust proudly. My first off-road trip in my Toyota 4Runner was in the books! 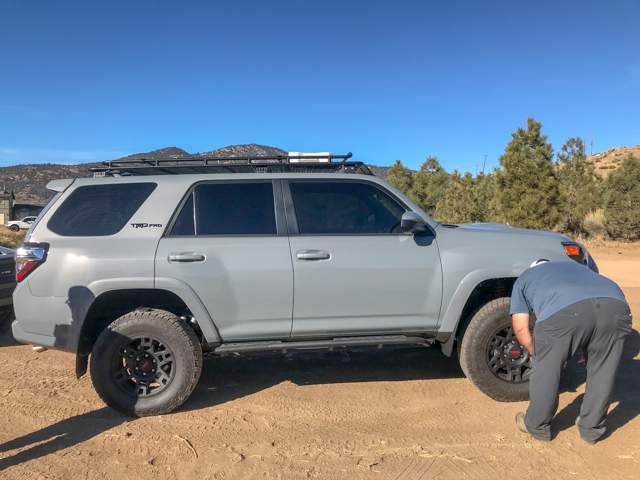 To check out my write-up on my Toyota 4Runner TRD PRO including the mods I’ve done to date click here! Sounds like a fun trail! I plan on doing it this weekend.